My friend and colleague Michael Bailey has had the wonderful opportunity to work for VMware for more than 8 years. Michael witnessed first hand the rapid evolution of the vSphere Hypervisor and the spread of virtualization across enterprise data centers. Michael was there to see the amazement of customers when features like vMotion were first demonstrated. 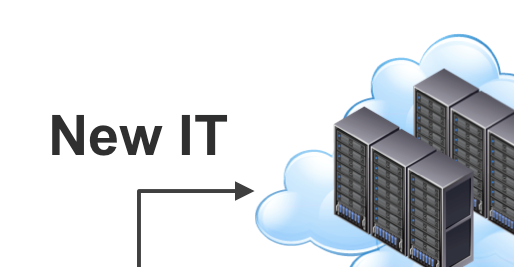 When speaking about compute virtualization, Michael would often say that it is a process of “Crawl, Walk, Run”… There is no need or requirement to virtualize everything – start with small environments such as file and print, and expand your organizational experience from a small foundation. Crawl, Walk, Run provides infrastructure teams time to focus on reviewing the people and process aspects of infrastructure delivery associated with the changes in infrastructure technology. With network virtualization, we are certainly seeing rapid customer adoption – The two major reasons are (1) customers who are already orchestrating already recognize that NSX and network virtualization in general is a critical component to the orchestration puzzle, and (2) there are incredible benefits to simplifying data center networks with a physical non blocking layer 3 fabrics combined with network virtualization to provide logical Layer 2-7 services. The really nice thing about NSX is it’s not a rip and replace technology. Test or Proof of Concept (PoC) environments can be built using as little as two physical servers and if that is hard to find, NSX could even be deployed virtual on virtual. There is no specific physical network hardware vendor or topology dependency, and moving VMs from VLAN backed networks to virtual switch backed networks can be scripted, performed by UI, or a simple drag and drop from old network to new network. For the customers who are learning about orchestration, data center network optimization, and network virtualization all at the same time, the same advice Michael gave to customers 8 years ago for compute virtualization holds true today for network virtualization… It’s ok to start small and gain infrastructure delivery experience with a Crawl, Walk, Run methodology.